Having a gluten-free breakfast has never been so easy because I have an index of gluten-free breakfast recipes. They are right here for you to choose from and make for breakfast tomorrow morning. There is pretty much any breakfast recipe you could ever want right here. Enjoy! I don’t let just anyone put their recipes on my blog posts. I am picky and choose only the best recipes. I make sure they are totally gluten-free and I make sure they look good enough that I would want to try the recipe myself. If it doesn’t look appetizing no one is going to want to even look at it let alone try making it. I also try not to choose very many recipes that are weird and extremely unusual as very few people will be interested. I also try to choose recipes that are less expensive and very affordable and most important of all quick and easy to make. Most of these gluten-free breakfast recipes would also normally have gluten in them. I don’t see a lot of point to choosing a recipe that would never have gluten in it anyway, like scrambled eggs, but a gluten-free pancake recipe, now that could be useful in my opinion. Because of my above criteria, you can rest assured there is no need to look any further because I have some of the best gluten free breakfast there are. Personally, I have a really hard time finding recipes for breakfast. I have to eat not only gluten-free but also low carb because even though a recipe might be gluten-free, it doesn’t mean it is low in carbs. 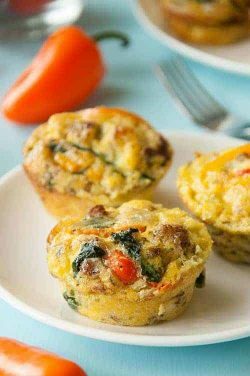 I also need to eat high in protein so when I’m tired of eggs I have a hard time finding good gluten-free low carbs breakfast recipes. Some of these would make great brunch recipes. They all will certainly make a healthy breakfast for you. Some of them have healthy fats and they all make for some delicious gluten-free breakfasts. You won’t ever be sorry that you looked through these recipes. 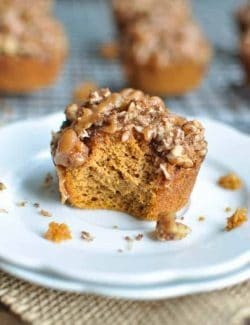 They are definitely the best gluten free breakfast recipes you will ever find. What can you eat for breakfast on a gluten-free diet? Cindy L. – Eggs and bacon, gf waffles (vans), or gf cereal or oatmeal. If I have time I make homemade gf pancakes. Nikki W. – Oatmeal or eggs. On the weekends we do biscuits and gravy! 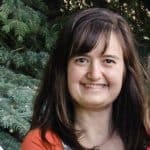 Kate M. – Skim milk and flavored Chex. 7 point breakfast, waffles and light sausage, eggs turkey bacon gf toast on the weekend. Rae W. – Cereal or eggs. Lakin B. – Some type of GF cereal (Chex, Van’s, envirokidz, Fruity Pebbles are my usual brands) with rice milk. I usually have a banana to (which I share with my dog, lol). I sometimes make scrambled eggs, an omlet, steamed egg, or an egg sandwich. Then I very rarely make homemade pancakes. What breakfast items are usually gluten-free? What are some popular gluten-free cereals I can buy? Are there any gluten free breakfast on-the-go items I can buy? 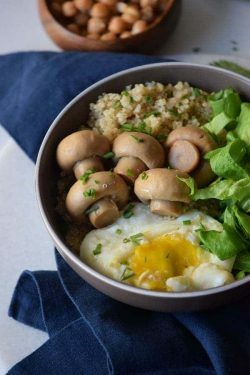 This Savory Quinoa Breakfast Bowl recipe is really quick and easy to make, yummy and nutritious for breakfast or any time. Oh.My.Gosh. This sautéed mushroom bowl recipe is just mind-blowing good! Like so good I can’t almost believe it. It is packed with flavor plus it’s really nutritious and filling and keeps you fueled until lunch. 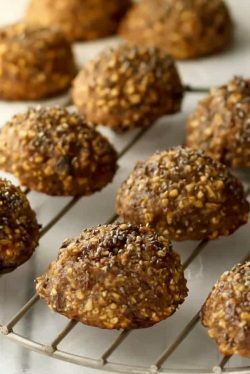 I like these clean eating oatmeal breakfast cookies because I can make a big batch ahead of time and keep them in the frig. It makes breakfast so easy. A bonus is that they are super portable too. 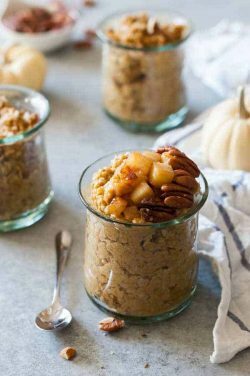 This is the best ever overnight pumpkin spice clean eating steel cut oats crock pot recipe. Make just before you hop into bed and eat it when you wake up.